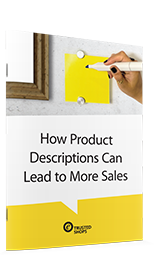 Product descriptions on a website are extremely important to give users the last nudge to convert on a website. It is in your best interest to give them all the valuable details at a glance so they need the least amount of time to make their purchase decision. Download our whitepaper to see the most important pieces of information that most online shops miss.